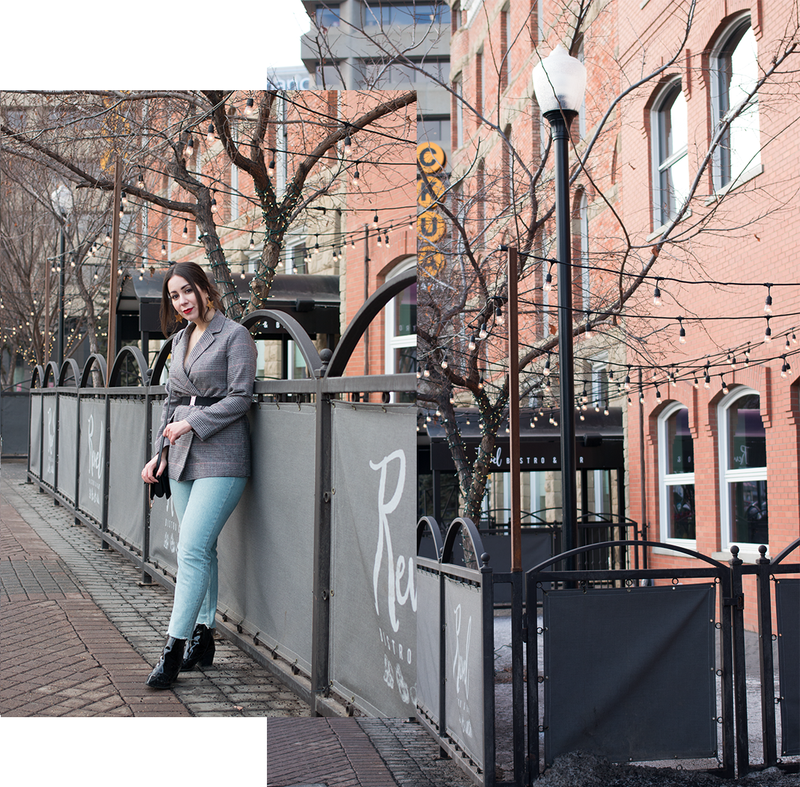 It's so easy to get stuck in a style rut, and I'll be the first to put up her hand and admit to mindlessly throwing on jeans and some kind of weather-appropriate topper nine times out of ten. Now there's obviously nothing wrong with that combo— they don't call it a classic for nothing— but it feels really good to switch things up every now and then, pushing yourself out of your comfort zone in the process. And although this look wasn't exactly "out of my comfort zone" per se, I will admit that the first 40 minutes or so of wearing it involved me nervously looking down to make sure I wasn't flashing unsuspecting passersby. 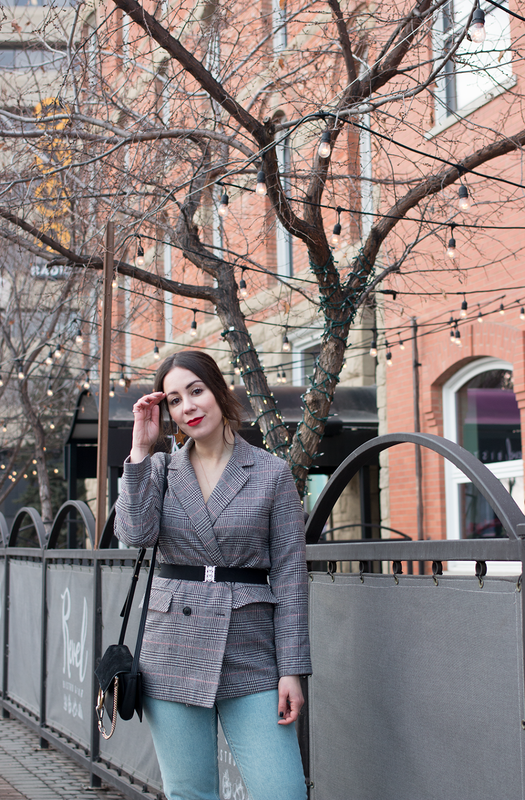 But eventually that notion slipped my mind, and I fell in love with this new-to-me combo of a belted blazer with tied-up hair (something I never normally do) and statement earrings— c'est bon. As it's a new week and all, I say we should all take this opportunity to try something new in the style department, regardless of how bold or subtle it may be. 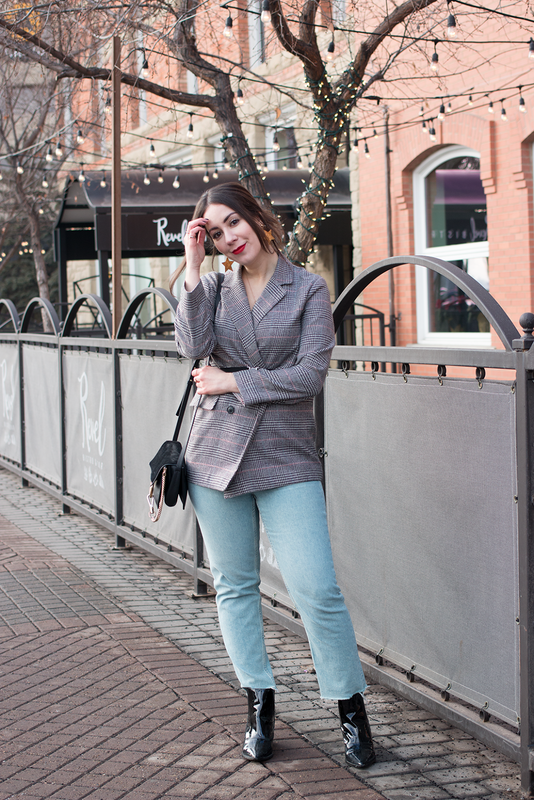 Whether you want to incorporate a bright colour into your otherwise neutral-heavy wardrobe, opt for a different cut or wash to your go-to denim, or simply throw a belt over a blazer like I did, just do it. 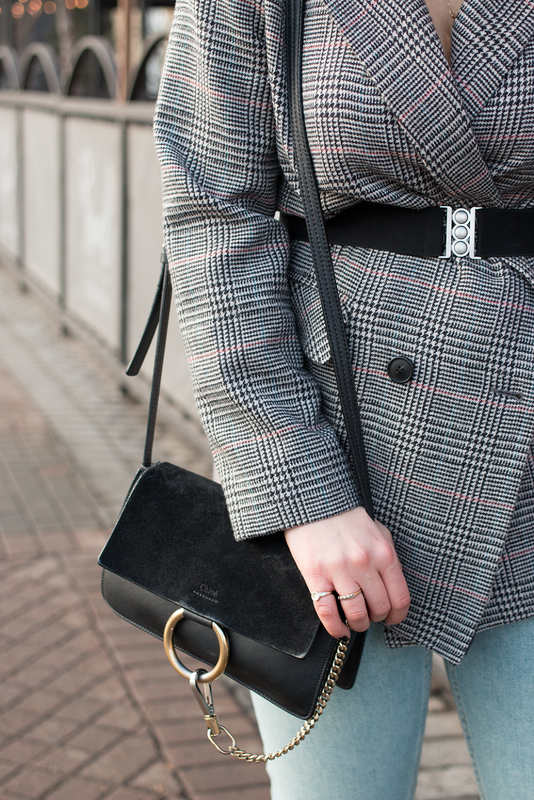 There's no shortage of inspiration out there (shout out to Tumblr and Pinterest for expertly sucking up all my spare time), and wearing something differently— even ever-so slightly— is a great way to get more mileage out of the clothes you already have. Happy styling, friends!